Bonding - Dr. Isaac Comfortes, D.D.S. Composite bonding is the process by which tooth-colored dental resin is applied to a tooth and hardened onto the tooth surface. Composite bonding can be used to address many different dental concerns, including structural damage and cosmetic blemishes. Encino, LA Dentist, Isaac Comfortes is renowned for his skill in cosmetic dentistry and smile enhancement. He is considered a pioneer in the field of dental cosmetics, and he has taught several courses on the subject. Composite bonding is an affordable procedure that involves minimal alteration of your tooth structure. The process can be completed in a single office visit, and if the composite becomes damaged, it can be easily replaced or a different type of restorative treatment can be performed. Dr. Comfortes can also use composite resin to provide a tooth-colored filling, cement a crown, or affix porcelain veneers. Porcelain crowns and veneers have the lifelike translucence and reflectivity of natural tooth enamel and are therefore often the preferred standard of care for moderate to severe tooth damage and defects. Before performing bonding, Dr. Comfortes will choose the shade of composite that matches your teeth. Then he will treat your tooth with a very mild chemical agent, which will create microscopic grooves on the tooth enamel. This etching increases surface area so the composite can bond to your tooth more strongly. After this very minimal prep work, he will apply the composite and work carefully to sculpt it and create a smooth, lifelike appearance. When he has achieved the desired effect, Dr. Comfortes will use a special light to cure (harden) the material. After it has fully hardened, he will polish the composite to give it a lifelike shine. 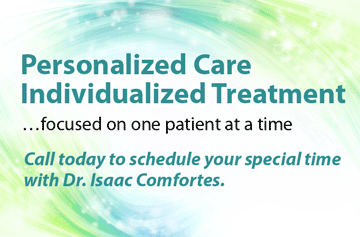 During your consultation, Dr. Comfortes will explain your other treatment options. 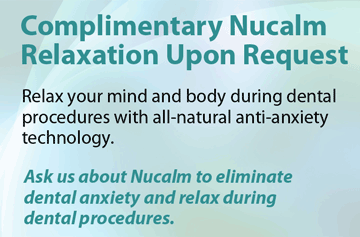 The most appropriate solution for you will depend on your health, esthetic goals, and budget. Porcelain veneers are one of the most common alternatives to composite bonding. With this treatment, Dr. Comfortes can address many of the same problems that he can with bonding. Custom-made porcelain veneers will typically last longer than composite but involve removing a thin layer of tooth enamel. Dr. Comfortes may recommend teeth whitening (also known as bleaching) for moderate staining. Bonding is a great option for intrinsic stains or discoloration that cannot be removed by tooth whitening. Rest assured that Dr. Comfortes will make an honest recommendation that suits your needs. 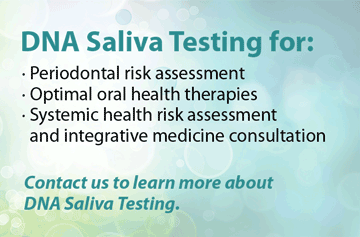 To learn more about bonding and alternative treatment options that are best for your specific oral health circumstances, schedule a consultation with Dr. Comfortes. 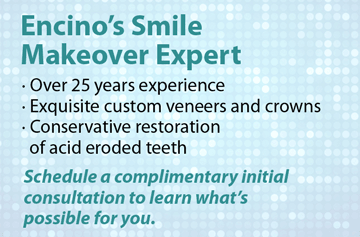 We love to enhance smiles!